Totally forgot to take a pic of the Week 2 haul. I’m a week into this new feature, and I *already* dropped the ball. Oops! 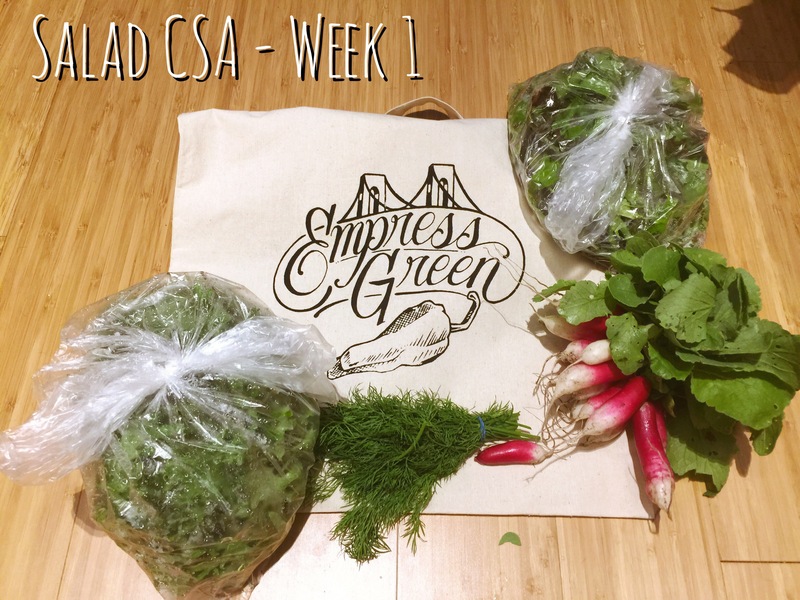 Not content to only have a monthly meat subscription, we joined the summer salad CSA from Empress Green in Staten Island. Empress Green is really something cool – it’s the first commercial farm grown within a residential development in NYC (it’s located in the space between two buildings in the Urby complex in Staten Island’s Stapleton neighborhood) and the farmers, Zaro and Asher, are committed to building something great for the community while providing educating about food and farming. 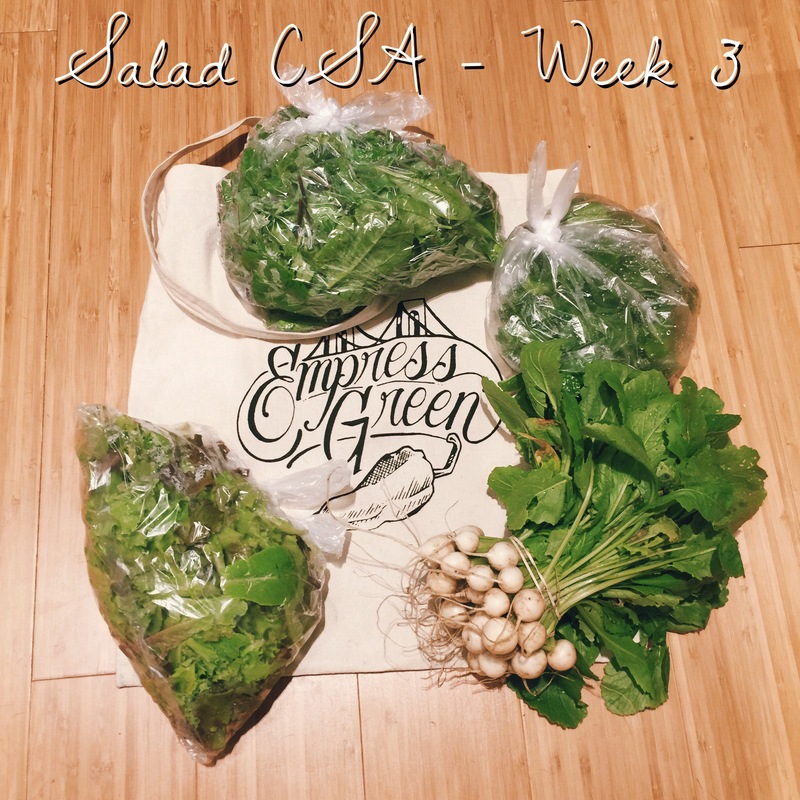 Aside from a salad CSA, Empress Green offers a flower CSA starting next month, holds a weekly farm stand open to the public, hosts a number of special events and activities (including farm-to-table dinners) and keeps bees. I’m looking forward to seeing more of what they have to offer in the coming months. I used chives in pretty much everything during week 3. A standout: that Gold Sauce I made for steaks & Week 1’s radishes. I made a simple salad of arugula, radishes & yuzu dressing with chicken for dinner one night. I made butter chive zoodles with shrimp & bacon & lots of butter one night. I accidentally dropped the mustard greens in a smoothie instead of the kale – oops – wasn’t bad, though. I made smoothies almost every day with the kale and some leftover spinach I had. I braised the rest of the kale and served with bourbon steak. This week, I had most of the radishes, a couple chives, and some random lettuces left over. I used the kale + spinach mix in smoothies (made 6 smoothie servings). I dropped a third of the cilantro in one day’s smoothies. I made a bigass salad for lunch one day with all the lettuce and some of the leftover radishes. Later that day, I had the last of the radishes as a snack dipped in butter and sprinkled with salt. I had a chicken and radish salad with last week’s leftover lettuce greens. I used some more cilantro in dinner one night as a garnish. I chopped up the turnips and created a little honey and lime juice salad for a snack. This week, I had a little cilantro left over. I supplemented the CSA share with additional kale and spinach for my morning smoothies. I dropped some dill in a nice little meat sauce I made featuring ground beef from ButcherBox, and young garlic, spinach and dill from Empress Greens. 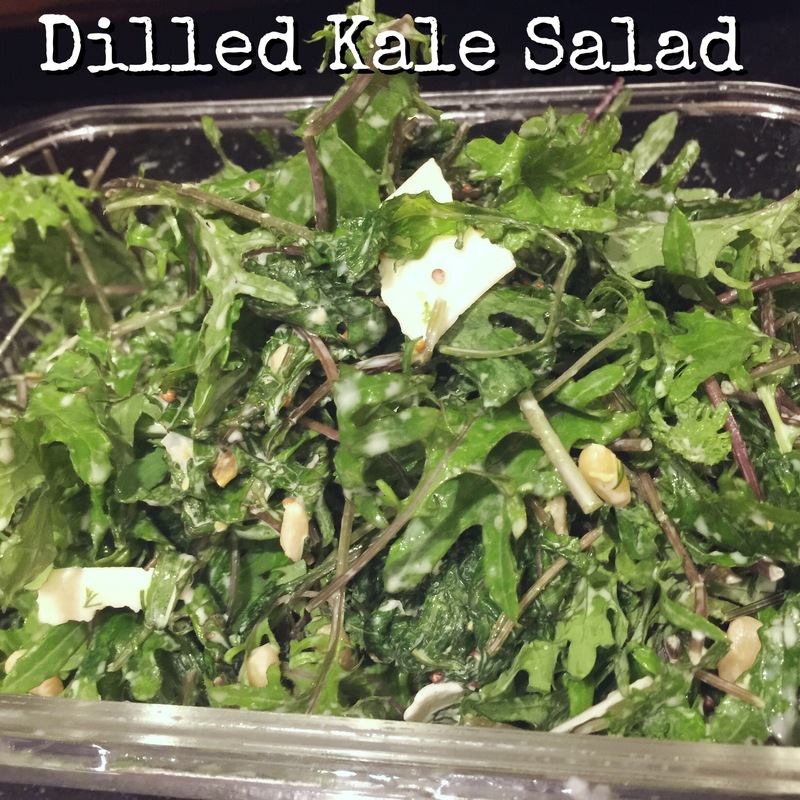 I made a salad to take to a potluck out of most of the kale from the CSA share + a bunch of the dill. I made a big lunch salad out of the Empress mix, which I had with an herbal dressing that included more dill and some kefir. I roasted the radishes and served with butter alongside steak. This week, I have a little kale and a hand full of dill left over. This summer salad utilizes fresh baby greens and an unusual ingredient in salad – fresh dill. Makes a great dish to bring to a potluck on short notice. In a large bowl, combine: mayo, lemon juice, dill, grated garlic, and apple cider vinegar. Hit with salt and pepper – taste. You’re looking for a robust dressing – something bright and acidic (maybe a hair too acidic, it’ll tone down when you add the kale). Add the kale and toss to coat, taking care to massage the dressing into the leaves so it really soaks in. Add the pine nuts and cheese if you’re using. Boo! 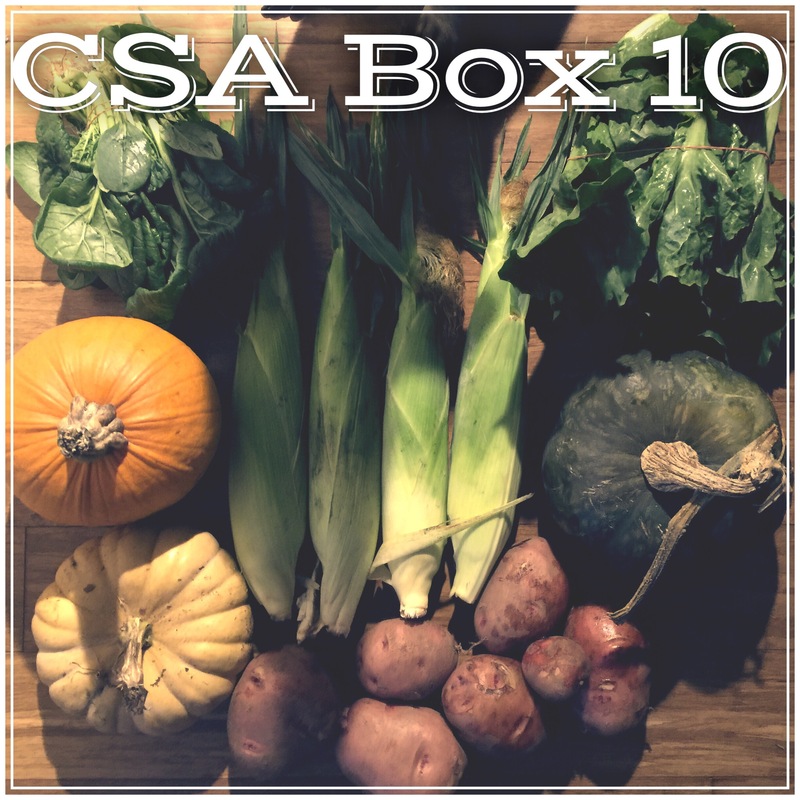 This is my last CSA box for the year, and man did the time fly. 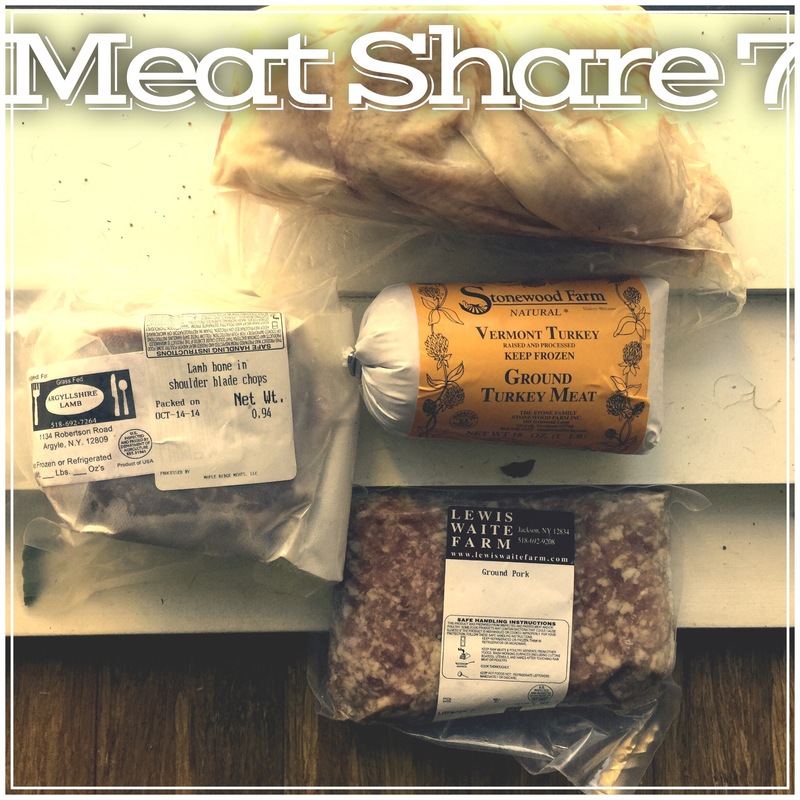 I’m going to miss my boxes of veggies and meat shares during the winter. This year’s CSA was from Brooklyn Beet CSA. Brooklyn Beet provides veggie shares from Angel Family Farm, a sustainable farm located in Orange County, NY that was created with the support of GrowNYC’s New Farmer Development Project; fruit shares from Hepworth Family Farm, a 250-acre NOFA-certified seventh-generation family farm in Milton, NY; baked goods from Wild Mountain Bread based in Brooklyn; and a wide variety of grass-fed beef, pasture raised pork, and other products (like other meats, cheeses, bread, flour, grains, lax-fermented vegetables, pastas and other pantry goods) from Lewis Waite Farm, which sources from over 35 local family farms. 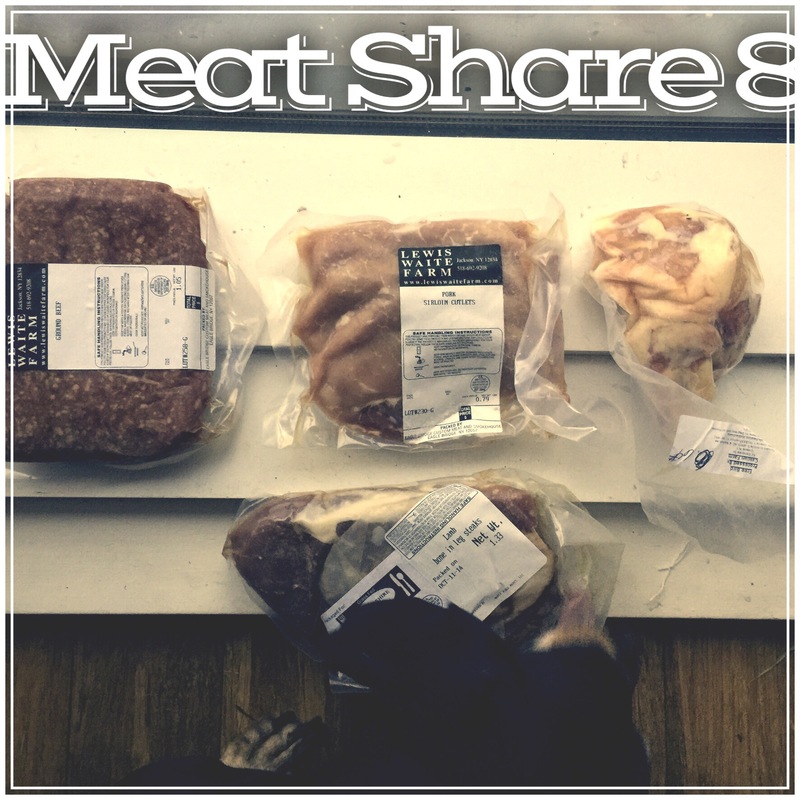 I purchased a half share, and received a box containing 6-8 vegetables (about 2 bags worth) every other week from June – October (11 shares), and also ordered a carnivore share box from Lewis Waite (4-6 lbs. 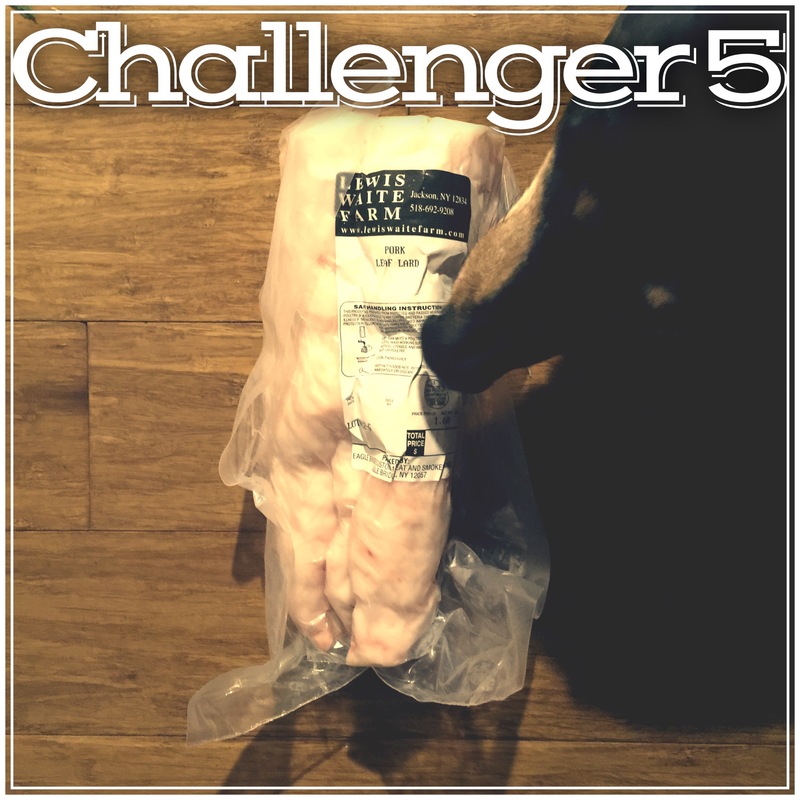 of meat) for pickup each veggie week, plus a “Challenger Share” for the season (6 deliveries total) containing odd bits like animal fats, organ meats, neck bones, shanks, and rendered lard. 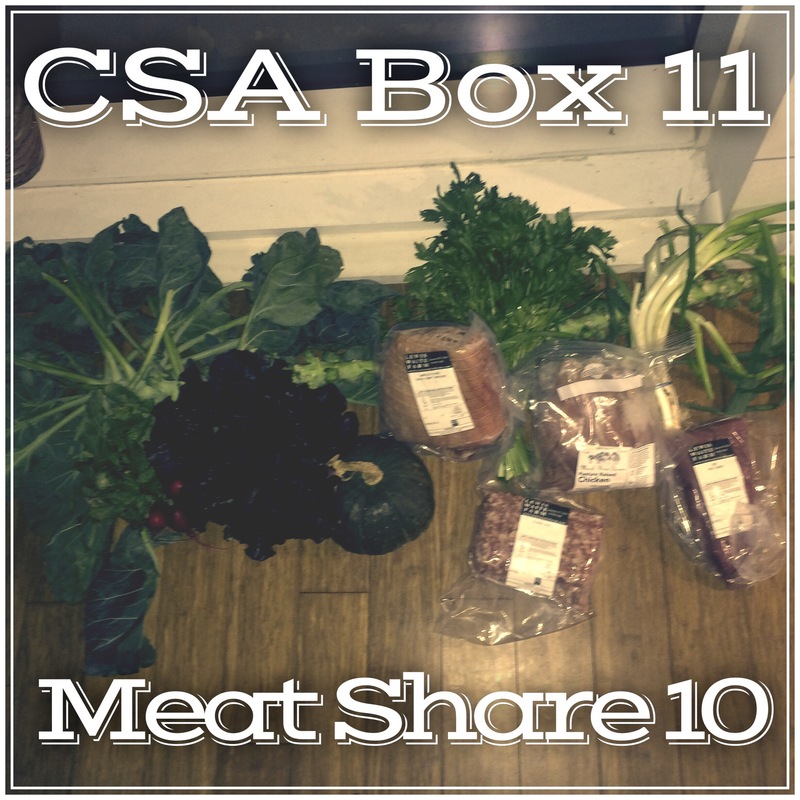 The price of my CSA averaged out to $25.50 per share for veggies, plus an additional $45 per pickup week for meat/offal. I felt the value for dollar was pretty good compared to other NYC-area CSAs I’ve participated in, and the variety of vegetables provided was pretty good. I actually kind of missed the usual late-summer glut of zucchini, and only really felt menaced by cucumbers and corn throughout the season. I turned the kabocha squash into a pumpkin chicken curry. I glazed the tenderloin in bourbon chipotle sauce and pan-seared it – served with paprika & garlic dusted brussels pan seared alongside the steak. Unsurprisingly, the lettuce didn’t make it. I made simple pulled pork out of the pork shoulder. I’ve thrown random radishes in a few dishes. I made a nice little Thai-inspired ground pork bowl with some carrots, the scallions, and a few radishes. One of the pumpkins went over to the dark side before I could do anything more than revel in it’s fall-ness. The last of the green tomatoes and serrano chilis from a few shares ago finally died in the bottom of my veggie drawer (much to my relief). And I plan on slow-cooking the chicken whole and serving it with zoodles. This week, my favorite was the Thai pumpkin chicken. That dish was freaking delicious. Hopefully my attempt at whole slow-cooked chicken turns out equally as awesome. Whoo hoo! 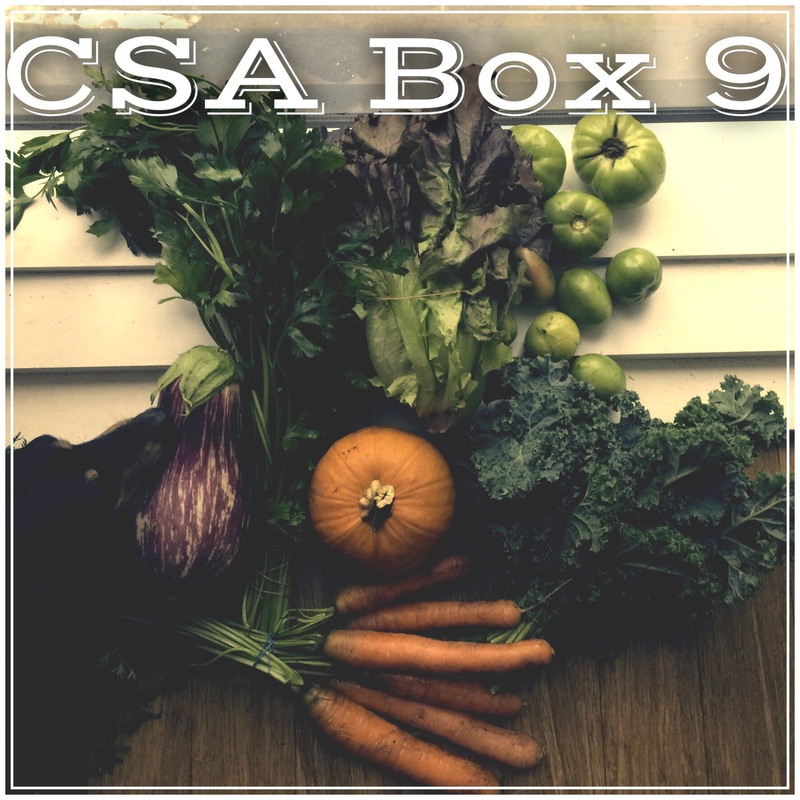 It’s CSA time again! Time to shrug off winter’s recipe rut and reign spring’s exuberance with bi-monthly boxes of vegetables (and hopefully meat). 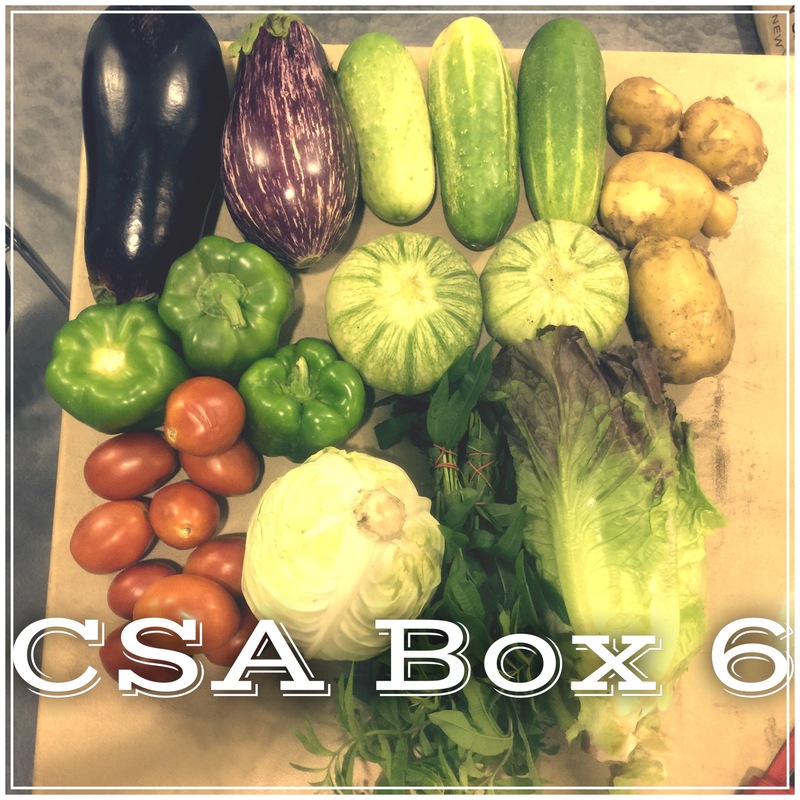 This year’s CSA is from Brooklyn Beet CSA. Brooklyn Beet provides veggie shares from Angel Family Farm, a sustainable farm located in Orange County, NY that was created with the support of GrowNYC’s New Farmer Development Project; fruit shares from Hepworth Family Farm, a 250-acre NOFA-certified seventh-generation family farm in Milton, NY; baked goods from Wild Mountain Bread based in Brooklyn; and a wide variety of grass-fed beef, pasture raised pork, and other products (like other meats, cheeses, bread, flour, grains, lax-fermented vegetables, pastas and other pantry goods) from Lewis Waite Farm, which sources from over 35 local family farms. 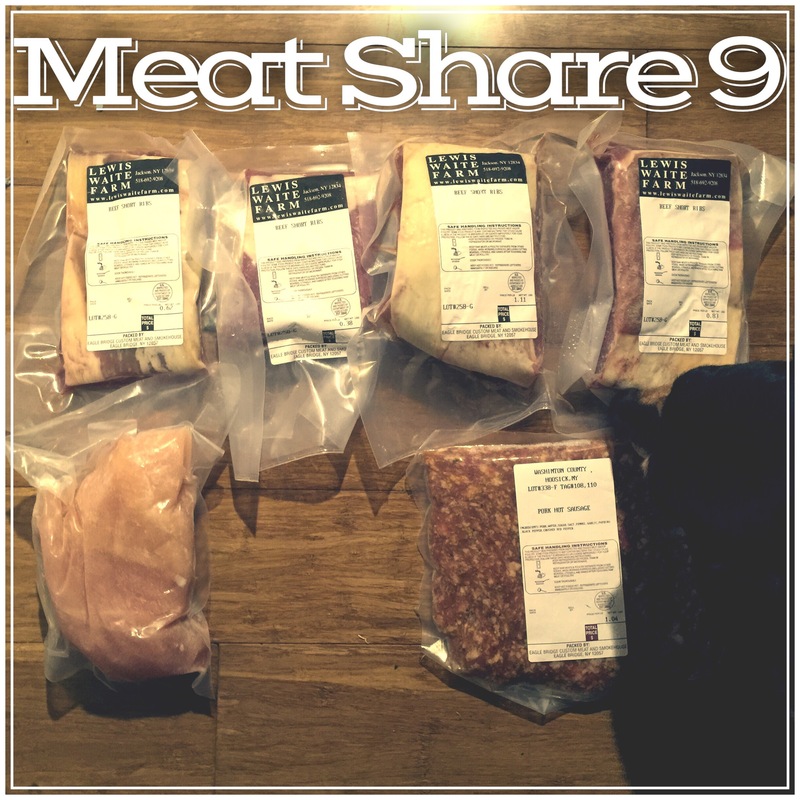 I purchased a half share, and will be getting a box containing 6-8 vegetables (about 2 bags worth) every other week from June – October (11 shares), and plan on ordering a carnivore share box from Lewis Waite (4-6 lbs. 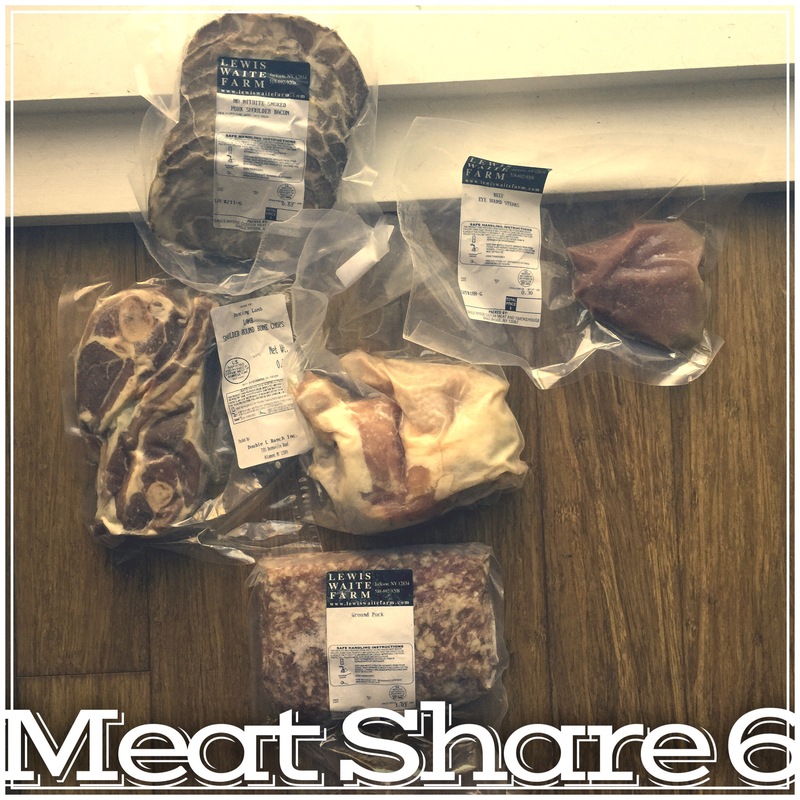 of meat) for pickup each veggie week. 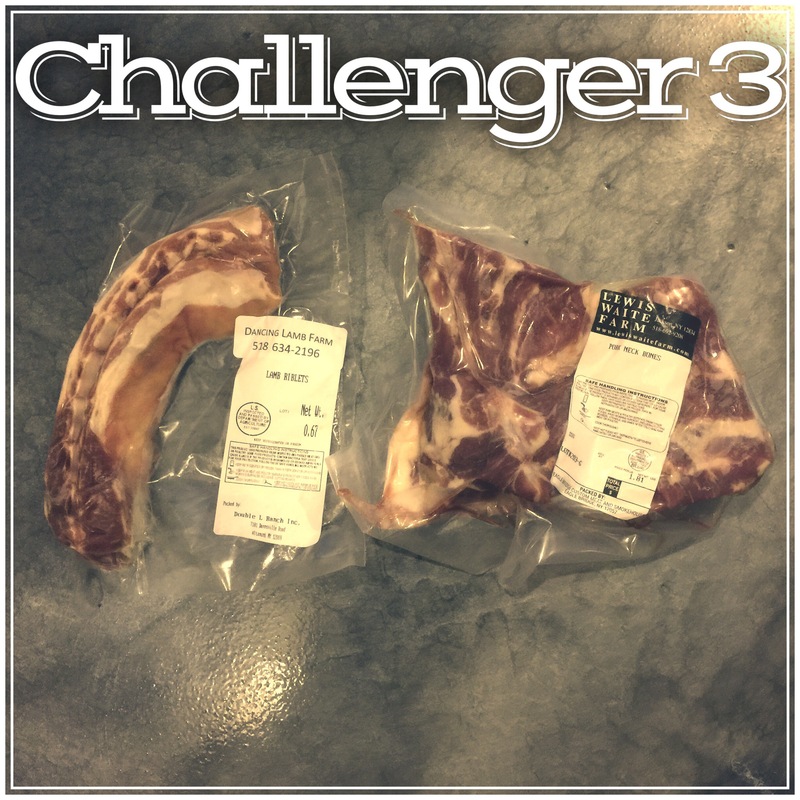 I also purchased a “Challenger Share” for the season (6 deliveries total) containing odd bits like animal fats, organ meats, neck bones, shanks, and rendered lard to stretch my culinary skills. 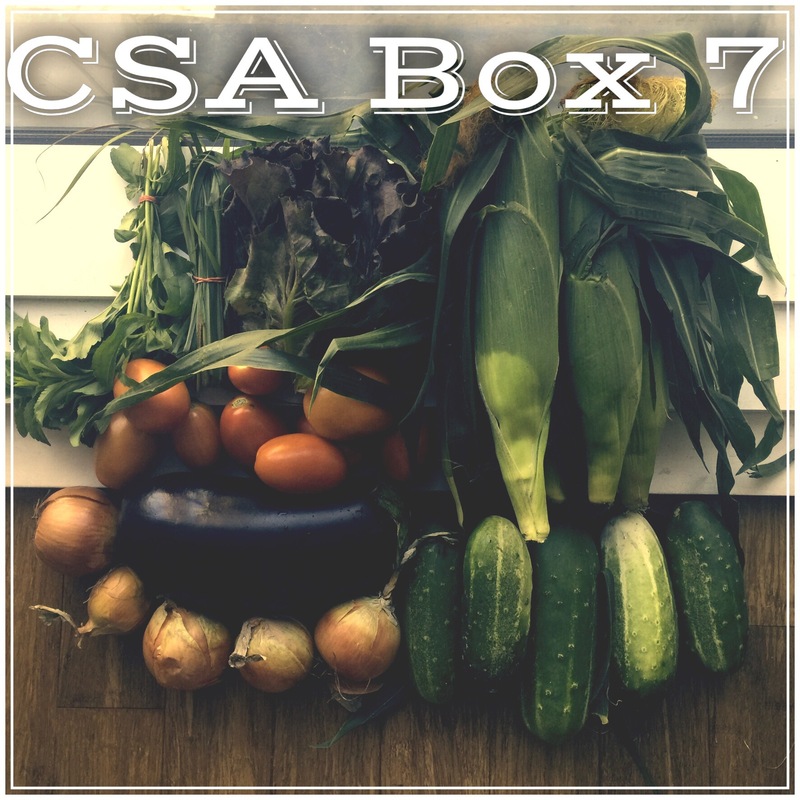 The price of my CSA averages out to $25.50 per share for veggies, plus an additional $45 per pickup week for meat/offal. 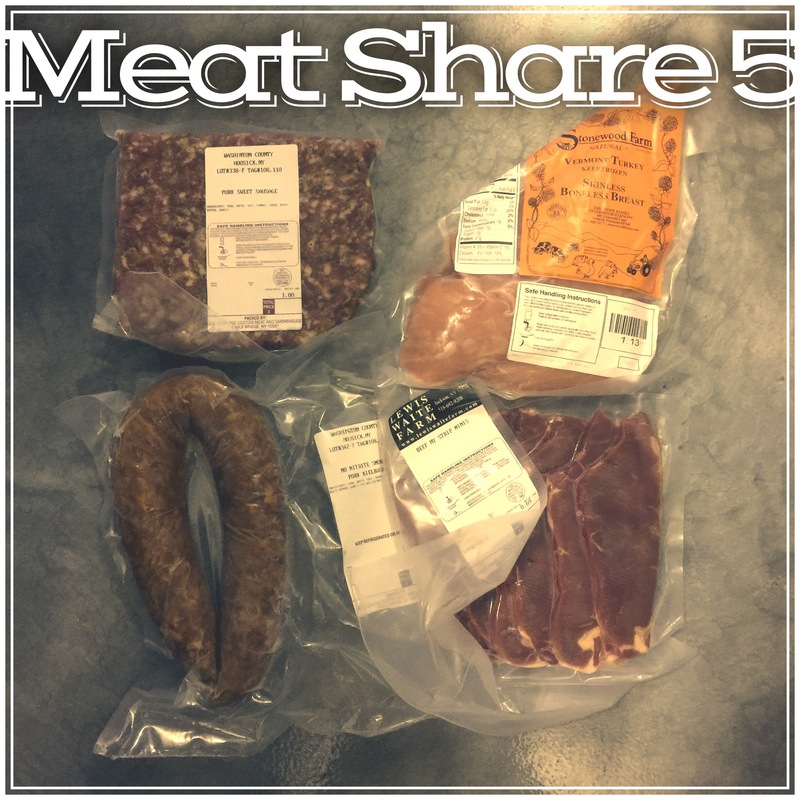 This total will be accounted for in my weekly Adventures In Budget Paleo Cooking posts. 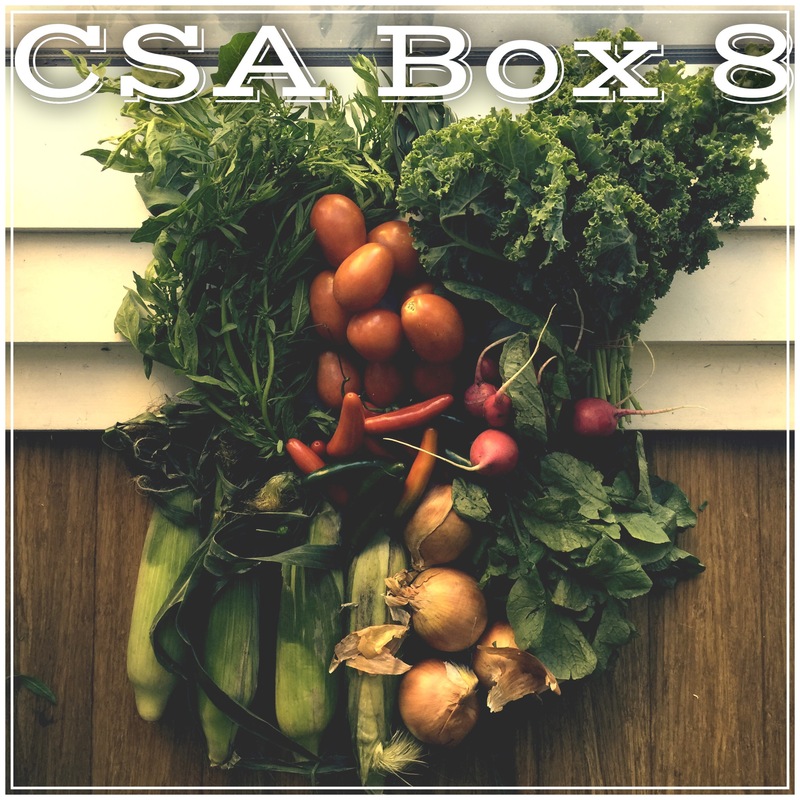 You would think by now that I’d be used to flying blind when it comes to CSA season, since they rarely seem to post previews of upcoming shares, but I’m not. At least not going into this first week. Pickup this year is on Tuesday, so it looks like another summer of alltheveggies for half a week & utilizing the stragglers before they go bad on Mondays and Tuesdays. Such is the life of a CSA devotee. Boom and bust every week (or every other week, in my case). I took the single chicken leg, the chicken breasts, 3 of the potatoes, a leftover onion, and the spinach and made a hearty chicken stew. I peeled the fancy pumpkin and turned it into a pumpkin chocolate chili. I made a hot ground pork sausage skillet out of some of the potatoes, the sausage, and some leftover onions. I turned the corn into a puree, which I served under the short ribs – which I slow-cooked. This week, my favorite was the corn puree. This was an ingenious way to use up an ingredient (and I can’t believe I’m saying this) I was sick of. I made a puree out of the eggplant, which I served with the lamb steaks. I was supposed to make a salsa out of the green tomatoes – twice – for dinner, but forgot. I ended up throwing a couple tomatoes into lunch one day, and made myself a taco night dinner bowl with half of the ground beef, a few tomatoes and half an avocado one night the DH wasn’t hungry. I broiled the lamb shanks from last Challenger share + the lamb riblets from a few shares ago with some carrots and served over a cauliflower puree. Ended up eating that for lunch quite a few days. I made a slow cooker chipotle pumpkin soup, which I served with pork chops. I roasted the rest of the carrots with chicken. I served pretty much everything with a sprinkle of parsley. The lettuce, unsurprisingly, went bad before I felt like addressing it. This week, my favorite was the pumpkin soup. That stuff was delicious and fall in a bowl. I’ll have to do a repeat with this next box – it’s chock full of squash! I served the leftover smoked shoulder bacon from last box in a hash with eggs, sweet potatoes and serrano peppers. I treated the pork to Thai-inspired flavors and made a hearty dinner bowl with lemongrass, corn and onion. I broiled the lamb steaks and served alongside some non-CSA green beans. I turned the ground turkey into a puttanesca-inspired meaty ragu, using eggplant and tomato in my dish as well. I threw hand fulls of espazote into quite a few dishes. I made another big bowl featuring the kale, plus some ground beef and non-CSA brussels sprouts. I used 2 serranos in pretty much everything I made. Most of the lemongrass dried up before I used it. I lost quite a few tomatoes, as well. 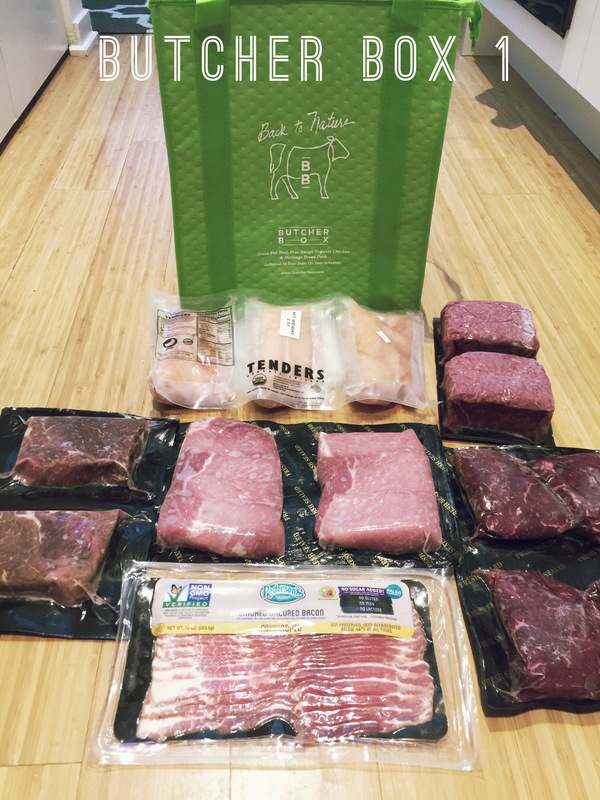 This week, my favorite has to be the smoked shoulder bacon and sweet potato hash I made. It was creamy, sweet, hearty, savory, and smoky – delicious. I ate last share’s second cabbage half shredded in lunch salads with cucumber and leftover meat. I served two ears of the corn plain cob-style with burgers, alongside some tomato. I made a quick stir-fry of the ground pork, some leftover green pepper, carrots and celery. I braised the chicken legs in some stock with 1 ear corn, sweet potatoes and celery. I broiled the lamb chops and the rest of the corn. The stevia dried up while I was thinking of something to do with it. I tossed a bunch of tomatoes out. I tossed half an onion in most things I made. I’ve been steadily eating tomatoes with whatever I make for lunch. This week, my favorite was probably the braised chicken. That turned out really well and was a big hit. I stuffed the zucchini with some tomatoes, some potatoes, a bell pepper and the sausage. I pan seared the little NY Strip steaks and served with baked eggplant. I ate a few tomatoes with lunch salads – incorporating leftovers and a little of the lettuce as well. I used some lemon verbena in lunch salads, but most of it dried up before I could find a use for it. 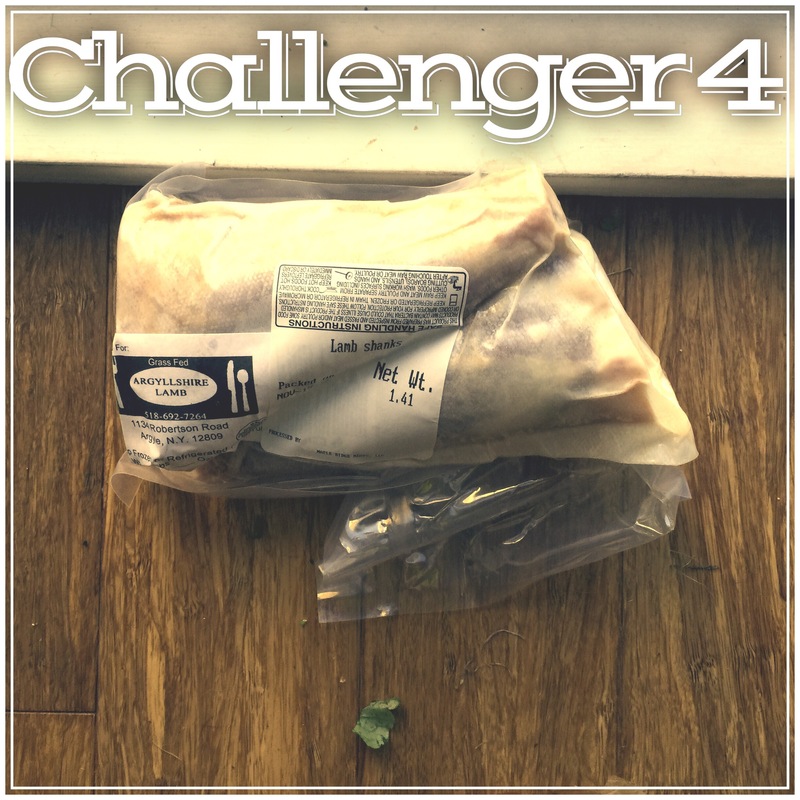 I turned the turkey into paleo butter poultry, which I served with some diced cucumber. I baked the second eggplant and turned it into a meatball with ground beef. I threw some of the other tomatoes into a peach salsa, which I served with pulled pork tacos in cabbage wraps. I turned the pork neck bones into stock, which I cooked with the rest of the potatoes and half the cabbage and served alongside the kielbasa. I roasted the beets I had leftover from another week and made a beet and cherry gazpacho. Leftovers: Lamb kidneys, lamb riblets, 1 green pepper, 1/2 head cabbage. This week, my favorite was the stuffed zucchini. My DH has a differing opinion – he absolutely loved the potatoes & cabbage stew thing.